November 19, 2005 – ECCW: El Phantasmo, Kyle O’Reilly and Volcano defeated Adam Antium, Gurv Singh and Sid Sylum. November 25, 2005 – ECCW: Kyle O’Reilly defeated Sid Asylum. December 10, 2005 – ECCW: Sweet Daddy Devastation defeated Kyle O’Reilly. December 23, 2005 – ECCW: Killswitch and Wrathchild defeated Kyle O’Reilly and Tony Tisoy. January 8, 2006 – ECCW: Kyle O’Reilly defeated Mike Dempsey. Sweet Daddy Devastation defeated Kyle O’Reilly and Sid Sylum in a handicap match. January 20, 2006 – ECCW: DK Roc and Scotty Mac defeated Kyle O’Reilly and Tony Tisoy. January 27, 2006 – ECCW: Fast Freddy Funk, Kurt Sterling and Kyle O’Reilly defeated Johnny Canuck, Michelle Starr and Vance Nevada. February 4, 2006 – ECCW: Nelson Creed defeated Kyle O’Reilly. February 11, 2006 – ECCW: Kyle O’Reilly defeated El Phantasmo. February 17, 2006 – ECCW: Kyle O’Reilly and Tony Tisoy defeated Mike Dempsey and Ritchie Destiny. March 4, 2006 – ECCW: Gurv Sihra and Kyle O’Reilly defeated Phantasmo and Sid Sylum. March 17, 2006 – ECCW: Kyle O’Reilly defeated Scott Steel. March 18, 2006 – WCWC: Hoss Tull and Wage Reichten defeated Hoquiam Man and Kyle O’Reilly. March 19, 2006 – WCWC: WCWC Lightning division champion Mike Dempsey defeated Kyle O’Reilly to retain the title. March 25, 2006 – ECCW: Aaron Idol and Kyle O’Reilly defeated Mikey Dasheezits and The Hornet. March 31, 2006 – ECCW: Gurv Sihra, Rebecca Knox and Sid Sylum defeated El Phantasmo, Kyle O’Reilly and Nikki Matthews. April 2, 2006 – ECCW: Scotty Mac defeated Kyle O’Reilly. April 15, 2006 – WCWC: Kyle O’Reilly defeated Kid Kahava. April 16, 2006 – WCWC: Tim Anderson defeated Kyle O’Reilly. April 21, 2006 – ECCW: Kyle O’Reilly defeated Gurv Sihra. April 22, 2006 – ECCW: Kyle O’Reilly defeated Sid Asylum. May 5, 2006 – ECCW: Kyle O’Reilly defeated Nate Hardy in the 1st round. May 21, 2006 – WCWC: Aaron Bolo and Kyle O’Reilly defeated The Outlaw and Tim Anderson. May 26, 2006 – ECCW: Kyle O’Reilly and Veronika Vice defeated Nikki Matthews and Sid Sylum. May 27, 2006 – ECCW: Kyle O’Reilly defeated Aaron Idol. June 23, 2006 – ECCW: Kyle O’Reilly defeated Sid Asylum in the semi-finals. Memphis Raines defeated Kyle O’Reilly to win the tournament and vacant NWA Canadian Junior heavyweight title. July 15, 2006 – ECCW: Kyle O’Reilly defeated Harv Sihra. July 28, 2006 – ECCW: Kyle O’Reilly defeated Harv Sihra. August 19, 2006 – ECCW: Mike Dempsey defeated Kyle O’Reilly. August 25, 2006 – ECCW: Gurv Sihra, Harv Sihra and Sid Sylum defeated Amazing Halo, Kyle O’Reilly and Volcano. September 23, 2006 – ECCW: NWA Pacific Northwest Junior heavyweigth champion Gurv Sihra defeated Kyle O’Reilly to retain the title. September 30, 2006 – ECCW: Nikki Matthews and Sid Sylum defeated Kyle O’Reilly and Veronika Vice. October 24, 2006 – ECCW: Kyle O’Reilly defeated Mikey Dasheezits. November 4, 2006 – ECCW: NWA Canadian Junior heavyweight champion MR2 defeated Kyle O’Reilly and Harv Sihra in a 3-way match to retain the title. November 24, 2006 – ECCW: NWA Canadian Junior heavyweight champion MR2 defeated Kyle O’Reilly and Sid Asylum in a 3-way match to retain the title. November 25, 2006 – ECCW: Scotty Mac defeated Kyle O’Reilly. December 16, 2006 – ECCW: Sid Asylum defeated Kyle O’Reilly. December 29, 2006 – ECCW: Kyle O’Reilly defeated Nikki Matthews. January 27, 2007 – AWA: Kyle O’Reilly and Larkin O’Shea defeated Moondog Slim and RJ The Mall Security Guard to become #1 contenders for the tag titles. AWA tag team champions Twist and Aaron Bolo defeated Kyle O’Reilly and Larkin O’Shea to retain the titles. March 2, 2007 – ECCW: Sid Asylum defeated Kyle O’Reilly. March 3, 2007 – ECCW: Kyle O’Reilly and Veronika Vice defeated Nikki Matthews and Sid Sylum. March 23, 2007 – AWA: Larkin O’Shea defeated Jack Evans, Kevin Cook and Kyle O’Reilly in a 4-way match. 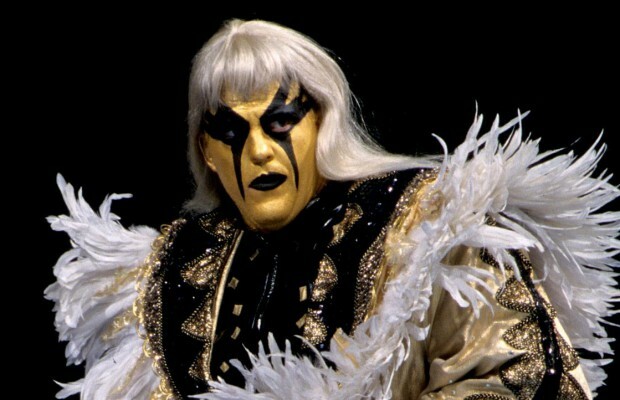 March 24, 2007 – AWA: El Phantasmo, Kyle O’Reilly and Twist defeated Jack Evans, Azul Angel and Breakneck. March 30, 2007 – ECCW: Kyle O’Reilly defeated Sid Asylum in a I Quit match. April 21, 2007 – ECCW: Kyle O’Reilly defeated Bill Suede. April 27, 2007 – ECCW: Kyle O’Reilly defeated Azeem The Dream by disqualification. May 4, 2007 – ECCW: Kyle O’Reilly defeated Disco Fury. May 25, 2007 – ECCW: Kyle O’Reilly defeated Azeem The Dream, Disco Fury, Ice, Mike Santiago and Sid Sylum in a 7-way match. June 1, 2007 – Pinnacle: Pinnacle tag team champions Davey Richards and Tony Kozina defeated Kyle O’Reilly and El Phantasmo to retain the titles. June 16, 2007 – ECCW: Kyle O’Reilly defeated Amazing Halo in the 1st round. Kyle O’Reilly defeated Memphis Raines in the semi-finals. Kyle O’Reilly defeated Scotty Mac and Tony Kozina in a 3-way match to win the 2007 Pacific Cup. June 22, 2007 – ECCW: Kyle O’Reilly defeated La Sombra. July 14, 2007 – ECCW: Kyle O’Reilly defeated Azeem The Dream. July 21, 2007 – ECCW: Kyle O’Reilly defeated Bill Suede. Kyle O’Reilly defeated Ice to win the NWA Canadian Junior heavyweight title. July 27, 2007 – ECCW: Ice defeated Kyle O’Reilly to win the NWA Canadian junior heavyweight title. July 28, 2007 – ECCW: Ice and Sid Asylum defeated Kyle O’Reilly and El Phantasmo in a best 2 out of 3 falls match. Cremator, El Phantasmo, Kyle O’Reilly and Sgt. Kaos defeated Antwong, Azeem The Dream, Ice, Scotty Mac and Sid Sylum in a handicap tag team elimination match. August 17, 2007 – ECCW: Kyle O’Reilly defeated La Sombra in the quarter-finals. Sid Sylum defeated El Phantasmo and Kyle O’Reilly in a 3-way match. August 18, 2007 – ECCW: Kyle O’Reilly defeated DK Roc in the semi-finals of the Vancouver Cup. Kyle O’Reilly defeated Ice to win the NWA Canadian junior heavyweight title. Ice defeated Kyle O’Reilly to win the title NWA Canadian junior heavyweight title. August 19, 2007 – ECCW: Kyle O’Reilly defeated Kid Extreme. August 24, 2007 – ECCW: Ice vs. Kyle O’Reilly ended in a time limit draw. September 15, 2007 – ASW: Kyle O’Reilly defeated Sid Asylum. September 21, 2007 – Pinnacle Full Circle: Mike Santiago defeated Kyle O’Reilly in the 2nd round. October 20, 2007 – EPWW: Kyle O’Reilly vs. Mike Santiago ended in a no contest. October 26, 2007 – ECCW: Greatness On Demand (Disco Fury, Johnny Canuck & Moondog Manson) defeated The Fight Club (Aaron Idol, Kyle O’Reilly & Robin Logan), Chill Town (DK Roc, Scotty Mac & Sid Sylum) & The Rejected (Abbadon, Cremator & Nate Daniels) in a 4-way 6 man tag team war game match. November 16, 2007 – ECCW: Kyle O’Reilly defeated Ice in the best of 5 series match to take a 1-0 lead. November 23, 2007 – ECCW: Ice defeated Kyle O’Reilly in the best of 5 series match to even things out at 1. November 24, 2007 – ECCW: Bill Suede defeated Kyle O’Reilly and Amazing Halo in a 3-way match. November 30, 2007 – ECCW: Kyle O’Reilly defeated Ice in the best of 5 series match to take a 2-1 lead. December 1, 2007 – ECCW: Ice defeated Kyle O’Reilly in the best of 5 series match to even things out at 2. December 7, 2007 – ASW: Rick X defeated Kyle O’Reilly and Amazing Halo in a 3-way match. December 28, 2007 – ECCW: Kyle O’Reilly defeated Ice to win the best of 5 series and to win the vacant NWA Canadian junior heavyweight title. January 25, 2008 – ECCW: NWA Canadian junior heavyweight champion Kyle O’Reilly defeated Azeem The Dream to retain the title. January 26, 2008 – ECCW: NWA Canadian junior heavyweight champion Kyle O’Reilly defeated Sid Asylum to retain the title. February 2, 2008 – ECCW: NWA Canadian junior heavyweight champion Kyle O’Reilly defeated El Phantasmo to retain the title. February 29, 2008 – ECCW: NWA Canadian junior heavyweight champion Kyle O’Reilly defeated Rick The Weapon X and Amazing Halo in a 3-way match to retain the title. March 1, 2008 – ECCW: Amazing Halo and Bill Suede defeated Kyle O’Reilly and El Phantasmo. March 22, 2008 – ECCW: NWA Canadian junior heavyweight champion Kyle O’Reilly defeated Amazing Halo to retain the title. March 28, 2008 – ECCW: Kyle O’Reilly vs. Halo ended in a double disqualification. April 5, 2008 – ECCW: Kyle O’Reilly and El Phantasmo defeated Bill Suede and Halo in a best 2 out of 3 falls match. April 25, 2008 – ECCW: Halo defeated Kyle O’Reilly to qualify for the Pacific Cup. May 16, 2008 – 3XW: Aaron Scott, Brandon Marino and Hunter Matthews defeated Kyle O’Reilly, Kraig Keesamen and Dingo. May 30, 2008 – FIP: Damien Wayne defeated Kyle O’Reilly. May 31, 2008 – FIP: Kyle O’Reilly vs. Johnny DeBall ended in a no contest. June 7, 2008 – ECCW: Kyle O’Reilly defeated Halo in the 1st round. Kyle O’Reilly defeated Azeem The Dream in the semi-finals. Bill Suede defeated Kyle O’Reilly and El Phantasmo in a 3-way match to win the 2008 Pacific Cup. June 27, 2008 – ECCW: Kyle O’Reilly vs. Bill Suede vs. El Phantasmo in a 3-way match ended in a no contest. July 5, 2008 – ECCW: Bill Suede defeated Kyle O’Reilly to win the Canadian junior heavyweight title. July 26, 2008 – ECCW: Bishop defeated Kyle O’Reilly. August 2, 2008 – ECCW: Kyle O’Reilly and El Phantasmo defeated Bishop and Ice. Kyle O’Reilly also was in the #1 contenders battle royal for the NWA ECCW title won by El Phantasmo. August 24, 2008 – ECCW: Kyle O’Reilly defeated VK. August 29, 2008 – ECCW: Kyle O’Reilly defeated Ice in a no disqualification match. October 24, 2008 – ECCW Halloween Hell: Memphis defeated Scotty Mac, Kyle O’Reilly, El Phantasmo and Rick The Weapon X in a 5-way steel cage match to win the Canadian Junior heavyweight title. November 1, 2008 – NWA 60th Anniversary Show: NWA Canadian Heavyweight champion Billy Suede defeated Kyle O’Reilly to retain the title. November 29, 2008 – ECCW: Dropkick Murphy, Bishop, Ice and Scotty Mac defeated Kyle O’Reilly, Cremator, El Phantasmo and Kenny Lush in a War Games match. December 6, 2008 – ECCW: NWA Canadian Junior heavyweight champion Billy Suede defeated Kyle O’Reilly in a Iron man match to retain the title. January 30, 2009 – ECCW: El Phantasmo defeated Kyle O’Reilly. February 7, 2009 – ECCW: Kyle O’Reilly defeated Mike Dempsey to qualify for the 2009 Pacific Cup. February 27, 2009 – ECCW: Kyle O’Reilly defeated El Phantasmo. March 7, 2009 – NWA CWFH: Kyle O’Reilly and Sid Asylum defeated Chimaera and Tommy Wilson. March 8, 2009 – NWA CWFH: Joey Ryan and Little Guido defeated Kyle O’Reilly and Sid Asylum. March 27, 2009 – ECCW: El Phantasmo defeated Kyle O’Reilly in the 3 stages of hell match. April 25, 2009 – ECCW: Kyle O’Reilly and Nicole Matthews defeated Sid Asylum and Veronika Vice. May 2, 2009 – ECCW: Kyle O’Reilly defeated Dropkick Murphy. June 6, 2009 – ECCW: Azeem The Dream defeated Kyle O’Reilly in the 1st round. August 1, 2009 – ECCW: Kyle O’Reilly defeated Alex Plexis. August 16, 2009 – ASW: Johnny Obsession defeated Big Bad Chad and Kyle O’Reilly in a 3-way match. August 28, 2009 – ECCW: NWA Canadian heavyweight champion Scotty Mac defeated Kyle O’Reilly to retain the title. September 18, 2009 – ROH The Final Countdown Tour Night 1: Kyle O’Reilly and Tony Kozina defeated The Bravado Brothers in a dark match. September 19, 2009 – ROH The Final Countdown Tour Night 2: Rasche Brown defeated Alex Payne, Grizzly Redwood, Kyle O’Reilly, Sal Rinauro and Silas Young in a 6-way match. October 23, 2009 – NWA Midwest: Steve Corino defeated Kyle O’Reilly. October 24, 2009 – AAW: Knight Wagner defeated Kyle O’Reilly. November 13, 2009 – ROH: Tony Kozina defeated Kyle O’Reilly in a dark match. November 20, 2009 – PWR: Erick Stevens defeated Kyle O’Reilly. November 21, 2009 – PWR: Kyle O’Reilly defeated Craig Classic. December 21, 2009 – ROH TV (Taped): Chris Hero defeated Kyle O’Reilly. January 16, 2010 – EVOLVE 1: Kyle O’Reilly defeated Bobby Fish. January 22, 2010 – AAW: Jay Bradley defeated Kyle O’Reilly. January 23, 2010 – DGUSA: Kyle O’Reilly defeated Arik Cannon, Brad Allen, Johnny Gargano, Jon Moxley and Lince Dorado in a 6-way dark elimination match. February 5, 2010 – Ring of Honor Wrestling: Kyle O’Reilly defeated Tony Kozina. February 19, 2010 – ECCW: Sid Asylum defeated Kyle O’Reilly. March 6, 2010 – ECCW: Kyle O’Reilly defeated Artemis Spencer. March 13, 2010 – EVOLVE 2: Kyle O’Reilly defeated Hallowicked. March 15, 2010 – ROH TV: Kyle O’Reilly defeated Tony Kozina. March 19, 2010 – ECCW: Sid Asylum defeated Billy Suede and Kyle O’Reilly in a 3-way match to win the NWA ECCW title. April 10, 2010 – ECCW: Kyle O’Reilly defeated Rick The Weapon X.
April 24, 2010 – ROH Bitter Friens, Stiffer Enemies: Kyle O’Reilly vs. Sonny Samson ended in a no contest. May 1, 2010 – EVOLVE 3: TJP defeated Kyle O’Reilly. May 7, 2010 – DGUSA: Kyle O’Reilly defeated Brent B in a dark match. May 8, 2010 – DGUSA: Brodie Lee defeats Anthony Fiasco and Brent B and Cheech and Cloudy and Kyle O’Reilly and Phil Atlas and Xtremo in a 8-way elimination match. May 22, 2010 – NWA Dynamo: NWA Missouri heavyweight champion Davey Vega defeated Kyle O’Reilly to retain the title. June 5, 2010 – ECCW: Kyle O’Reilly defeated Azeem The Dream in the 1st round. Kyle O’Reilly defeated Billy Suede in the semi-finals. Artemis Spencer defeated Kyle O’Reilly to win the 2010 Pacific Cup. June 25, 2010 – ECCW: Kyle O’Reilly defeated Ice. NWA ECCW champion Sid Asylum defeated Kyle O’Reilly to retain the title. June 26, 2010 – ECCW: Bishop and Ice defeated Kyle O’Reilly and El Phantasmo in a best 2 out of 3 falls match. July 10, 2010 – ECCW: Tony Baroni defeated Kyle O’Reilly. August 7, 2010 – ECCW: Kyle O’Reilly defeated Pete Powers. August 28, 2010 – Chikara: Adam Cole defeated Kyle O’Reilly in the 1st round. September 10, 2010 – ROH Fade To Black: Austin Aries defeated Kyle O’Reilly. Three days later, ROH announced they had signed O’Reilly to a contract with the company. September 25, 2010 – DGUSA: Arik Cannon defeated Kyle O’Reilly in a dark match. September 26, 2010 – DGUSA: Brodie Lee defeated Jimmy Jacobs, Kyle O’Reilly, Mike Quackenbush, Rich Swann and Silas Young in a 6-way match. October 2, 2010 – ROH: Future Shock defeated the team of Grizzly Redwood and Mike Sydal. They lost to Steve Corino and Kevin Steen on October 15, and the All Night Express of Kenny King and Rhett Titus at a show on October 16. October 16, 2010 – ROH Richards vs. Daniels: Kenny King and Rhett Titus defeated Adam Cole and Kyle O’Reilly. October 22, 2010 – PWN: Kyle O’Reilly defeated Matt Cage. November 6, 2010 – IPW: Kyle O’Reilly defeated Dustin Rayz in the 1st round. Kyle O’Reilly defeated Chrisjen Hayme and Jake Crist in a 3-way semi-finals match. IPW Junior heavyweight champion Ricochet defeated Kyle O’Reilly to retain the title and to win the tournament. November 8, 2010 – ROH TV (Taped): Adam Cole and Kyle O’Reilly defeated The Bravado Brothers. November 8, 2010 – ROH: Future Shock defeated The Bravado Brothers. November 12, 2010 – ROH Survival of the Fittest: Kevin Steen defeated Kyle O’Reilly to qualify for the survival of the fittest. November 13, 2010 – ROH Fate of an Angel: Adam Cole and Kyle O’Reilly defeated The Bravado Brothers. November 20, 2010 – EVOLVE 6: Bobby Fish defeated Kyle O’Reilly. December 17, 2010 – ROH Tag Classic Night 2: TJ Perkins defeated Kyle O’Reilly. December 18, 2010 – ROH Final Battle: Adam Cole made his ROH pay-per-view debut on at Final Battle 2010, where he and O’Reilly were defeated by the All Night Express. December 26, 2010 – ECCW: Kyle O’Reilly and El Phantasmo defeated Gurv and Harv Sihra. January 1, 2011 – IPW: Sami Callihan defeated Kyle O’Reilly. January 8, 2011 – SLA: Arik Cannon defeated Kyle O’Reilly. January 10, 2011 – ROH TV (Taped): Adam Cole and Kyle O’Reilly defeated Corey Hollis and Mike Posey. January 15, 2011 – ROH Champions vs. All Stars: Kenny King defeated Kyle O’Reilly. January 24, 2011 – ROH TV (Taped): The Bravado Brothers defeated Kyle O’Reilly and Adam Cole. February 11, 2011 – AAW: AAW tag team champions Brett Gakiya and CJ Esparza defeated Kyle O’Reilly and Juice Robinson to retain the titles. February 14, 2011 – ROH TV (Taped): Kyle O’Reilly defeated Jonathan Gresham in the 1st round of the top prospect tournament. February 25, 2011 – ROH World’s Greatest: Jay Briscoe defeated Kyle O’Reilly. February 26, 2011 – ROH 9th Year Anniversary Show: Mike Bennett defeated Kyle O’Reilly, Grizzly Redwood and Steve Corino in a 4-way match. March 6, 2011 – IPW:UK: Marty Scurll and Zack Sabre Jr. defeated Kyle O’Reilly and Adam Cole. March 7, 2011 – ROH TV (Taped): Kyle O’Reilly defeated Michael Elgin in the semi-finals of the ROH top prospect tournament. March 8, 2011 – IPW:UK: Marty Scurll defeated Kyle O’Reilly and Adam Cole in a 3-way match. March 11, 2011 – wXw: Marty Scurll defeated Kyle O’Reilly, Karsten Beck and Axeman in a 4-way match. March 12, 2011 – wXw: El Generico and Emil Sitoci defeated Kyle O’Reilly and Adam Cole. March 13, 2011 – ROH TV: “The Prodigy” Mike Bennett w/Brutal Bob defeated Kyle O’Reilly in the top prospect tournament final. March 14, 2011 – ROH TV (Taped): Mike Bennett defeated Kyle O’Reilly to win the top prospect tournament. March 18, 2011 – ROH Manhattan Mayhem: Adam Cole and Kyle O’Reilly defeated Michael Elgin and Mike Mondo. April 1 and 2, 2011 – ROH Chapter One and Two of Honor Takes Center Stage: Adam Cole and Kyle O’Reilly faced The Briscoe Brothers (Jay and Mark) and the Kings of Wrestling in two losing efforts, despite putting on strong performances. May 20, 2011 – ROH Super Card of Honor: Adam Cole and Kyle O’Reilly defeated The Bravado Brothers. July 8, 2011- Adam Cole and Kyle O’Reilly defeated the Bravado Brothers to earn a future shot at the ROH World Tag Team championship. September 24, 2011 – ROH TV: Future Shock (Adam Cole and Kyle O’Reilly) defeated Lancelot and Harlem Bravado. October 29, 2011 – ROH TV: Roderick Strong defeated Kyle O’Reilly. November 17, 2011 – ROH Survival of the Fittest: Kyle O’Reilly defeated Andy Ridge. November 18, 2011 – ROH Glory by Honor: Eddie Edwards defeated Kyle O’Reilly. November 19, 2011 – ROH TV: ROH champion Davey Richards defeated Kyle O’Reilly. December 3, 2011 – ROH TV: The Young Bucks (Matt and Nick Jackson) defeated Future Shock (Adam Cole and Kyle O’Reilly). December 23, 2011 – ROH Final Battle: The Young Bucks defeated The All Night Express, Future Shock, The Bravados and Caprice Coleman and Cedric Alexander. January 7, 2012 – ROH: Future Shock disbanded and Adam Cole formed a new partnership with Eddie Edwards, opposite Kyle O’Reilly and Davey Richards. January 20, 2012 – ROH Homecoming: Charlie Haas and Shelton Benjamin defeated Future Shock of Adam Cole and Kyle O’Reilly. January 21, 2012 – ROH Underground: Davey Richards and Kyle O’Reilly defeated Michael Elgin and Roderick Strong to become #1 contenders for the tag team titles. February 11, 2012 – ROH TV: Eddie Edwards defeated Kyle O’Reilly. February 18, 2012 – NWA Smokey Mountain: Chase Owens, Menace and Sigmon defeated Kyle O’Reilly, Davey Richards, Kyle O’Reilly and Tony Kozina. February 25, 2012 – SLA: Kyle O’Reilly and Davey Richards defeated Davey Vega and Mat Fitchett. March 10, 2012 – ROH TV: Michael Elgin pinned Kyle O’Reilly Blind Destiny Qualifier. March 17, 2012 – PWG: Kyle O’Reilly defeated Alex Koslov. March 29, 2012 – ROH Showdown in the Sun Day 1: ROH TV champion Jay Lethal defeated Kyle O’Reilly to retain the title. March 30, 2012 – ROH Showdown in the Sun Day 2: Kyle O’Reilly defeated Adam Cole. April 21, 2012 – PWG: Kyle O’Reilly and Adam Cole defeated Joey Ryan and Scorpio Sky in the 1st round. Player Uno and Player Dos defeated Kyle O’Reilly and Adam Cole in the semi-finals. April 27, 2012 – PWE: PWE United States champion Ace Hawkins defeated Kyle O’Reilly to retain the title. April 28, 2012 – ROH Unity: Charlie Haas and Shelton Benjamin defeated Davey Richards and Kyle O’Reilly. April 29, 2012 – ROH Rising Above: Kyle O’Reilly vs. El Generico ended in no contest. May 5, 2012 – ROH TV (Taped): Kevin Steen defeated Kyle O’Reilly. May 5, 2012 – SLA: Kyle O’Reilly vs. Mat Fitchett ended in a no contest. May 27, 2012 – RPW: Anthony Henry defeated Kyle O’Reilly. June 14, 2012 – NWA Smokey Mountain: NWA Mountain Empire champion Sigmon defeated Kyle O’Reilly to retain the title. June 15, 2012 – ROH The Nightmare Begins: Adam Cole defeated Kyle O’Reilly, BJ Whitmer and Roderick Strong in a 4-way proving ground match. June 16, 2012 – IWA: Kyle O’Reilly defeated Devon Moore and Drake Younger in a 3-way match. June 22, 2012 – AAW: AAW Heritage champion Michael Elgin defeated Kyle O’Reilly to retain the title. June 23, 2012 – ROH TV: Kevin Steen and Jimmy Jacobs vs. Davey Richards and Kyle O’Reilly ended in a no contest. June 24, 2012 – ROH Best in the World 2012: Hostage Crisis: Adam Cole defeated O’Reilly in a “Hybrid Rules” match. Afterwards, Cole tried to make peace with his former partner, but the offer was turned down. June 30, 2012 – ROH Live Strong: Jay Lethal defeated Kyle O’Reilly. July 13, 2012 – SLA: SLA TV champion Davey Vega defeated Kyle O’Reilly to retain the title. July 14, 2012 – ROH Brew City Beatdown: Kyle O’Reilly defeated Tadarius Thomas. July 21, 2012 – PWG: PWG tag team champions Player Uno and Player Dos defeated Adam Cole and Kyle O’Reilly and The Young Bucks in a 3-way ladder match to retain the titles. September 1, 2012 – PWG: Eddie Edwards defeated Kyle O’Reilly in the 1st round. September 2, 2012 – PWG: B-Boy, Drake Younger and Willie Mack defeated Kyle O’Reilly, Davey Richards and Joey Ryan. September 15, 2012 – ROH Death Before Dishonor X: State of Emergency: Kyle O’Reilly defeated ACH. September 23, 2012 – AIW: Dave and Jake Crist defeated Kyle O’Reilly and Adam Cole. September 29, 2012 – SLA: Kyle O’Reilly defeated ACH, Billy McNeil, Davey Richards, Evan Gelistico and Gerald James in a 6-way elimination tournament final match. September 30, 2012 – IPW: Aaron McCormick defeated ACH, Dave Crist and Kyle O’Reilly in a 4-way match to win the vacant junior heavyweight title. October 6, 2012 – ROH Killer Instinct: Roderick Strong defeated Kyle O’Reilly. October 20, 2012 – ROH TV: Mike Mondo defeated Kyle OReilly. October 26, 2012 – AAW: Kyle O’Reilly defeated J. Miller. November 24, 2012 – AAW: Silas Young defeated Kyle O’Reilly, ACH and BJ Whitmer in a 4-way match. November 30, 2012 – PWX: Kyle O’Reilly defeated Chip Day. December 7, 2012 – SLA: Kyle O’Reilly defeated Gerald James. December 8, 2012 – ROH TV (Taped): Bobby Fish and Kyle O’Reilly defeated The Bravado Brothers. December 16, 2012 – ROH Final Battle: The American Wolves defeated Kyle O’Reilly and Bobby Fish. December 29, 2012 – AAW: AAW tag team champions Dave and Jake Crist vs. Kyle O’Reilly and Davey Richards ended in a time limit draw. January 18, 2013 – ROH The Hunt for Gold: Kyle O’Reilly and Bobby Fish defeated BJ Whitmer and Rhett Titus. January 19, 2013 – ROH TV: Bobby Fish and Kyle O’Reilly beat Alabama Attitude (Mike Posey and Corey Hollis). January 19, 2013 – ROH Defy or Deny: Bobby Fish with Kyle O’Reilly defeated Tadarius Thomas. Davey Richards defeated Kyle O’Reilly. January 25, 2013 – AAW: Kyle O’Reilly defeated Tadarius Thomas in the 1st round. February 2, 2013 – ROH TV: Bobby Fish, Kyle O’Reilly and Roderick Strong defeated The American Wolves (Davey Richards and Eddie Edwards) and Michael Elgin. February 16, 2013 – ROH TV (Taped): Davey Richards defeated Kyle O’Reilly. February 16, 2013 – ROH Honor vs. Evil: BJ Whitmer defeated Kyle O’Reilly. February 23, 2013 – ROH TV: Roderick Strong and redDRagon (Bobby Fish and Kyle O’Reilly) defeated The American Wolves (Davey Richards and Eddie Edwards) and Michael Elgin. March 2, 2013 – ROH 11th Anniversary: Bobby Fish and Kyle O’Reilly defeated The Briscoe Brothers to win the Tag Team Titles. March 22, 2013 – PWG: Brian Cage and Michael Elgin defeated Kyle O’Reilly and Adam Cole. March 23, 2013 – PWG: Kyle O’Reilly defeated Sami Callihan. March 30, 2013 – ROH War: reDRagon (Bobby Fish and Kyle O’Reilly) defeated Alabama Attitude (Mike Posey and Corey Hollis). April 5, 2013 – Supercard of Honor: ROH Tag Team champions reDRagon defeated The American Wolves to retain the ROH Tag Team Titles. April 12, 2013 – AAW: AAW Heritage champion ACH defeated Kyle O’Reilly to retain the title. April 13, 2013 – MPW: MPW heavyweight champion Jeremy Wyatt defeated Kyle O’Reilly to retain the title. April 20, 2013 – SLW: ZERO1 Midwest tag team champions Devin and Mason Cutter defeated Kyle O’Reilly and Davey Richards to retain the titles. April 26, 2013 – NWA-SM Smoky Mountain Cup 2013: Kyle O’Reilly defeated Menace. Damien Wayne, Jeff Connelly, Kyle O’Reilly and Sigmon to win the Cup. April 27, 2013 – Wrestling Cares: Kyle O’Reilly vs. Davey Richards in the 1st round ended in a 1-1 draw in the 1st round. May 4, 2013 – ROH TV: Davey Richards defeated Kyle O’Reilly. May 11, 2013 – ROH Dragon’s Reign: ROH tag team champions reDRagon defeated The Briscoes to retain the titles. May 17, 2013 – AAW Day of Defiance: Davey Richards and Kyle O’Reilly defeated AAW Heritage Champ ACH and AAW champion Michael Elgin. May 24, 2013 – NPW: Kyle O’Reilly defeated Antonio Garza and Shawn Schultz in a 3-way match. May 25, 2013 – OMEGA: Caprice Coleman and Cedric Alexander defeated Davey Richards and Kyle O’Reilly. May 26, 2013 – PWX: Cedric Alexander defeated Kyle O’Reilly. June 1, 2013 – ROH Honor in the Heart of Texas: Kyle O’Reilly defeated Mike Sydal. June 8, 2013 – ROH Live and Let Die: reDRagon (Bobby Fish and Kyle O’Reilly) defeats ACH and Tadarius Thomas. June 15, 2013 – PWS Is Your Body Ready: Kyle O’Reilly defeated Davey Richards. June 15, 2013 – ROH TV (Taped): CandC Wrestle Factory and Jay Lethal defeated ROH World Tag Team champions reDRagon and ROH World TV champion Matt Taven. June 22, 2013 – ROH Best in the World: ROH Tag Team champions ReDRagon defeated SCUM and Caprice Coleman and Cedric Alexander in a 3-way tag team match to retain the titles. June 28, 2013 – SLA: Kyle O’Reilly and Davey Richards defeated Devin and Mason Cutter. June 29, 2013 – PWX: Kyle O’Reilly defeated Mr. Elite. July 11, 2013 – ROH Night of the Hoopla: reDRagon (Bobby Fish and Kyle O’Reilly) defeated Roderick Strong and Cheeseburger. July 12, 2013 – ROH Reclamation Night 1: Eddie Edwards defeated Kyle O’Reilly. July 13, 2013 – ROH Reclamation Night 2: Tadarius Thomas defeated Kyle O’Reilly. July 13, 2013 – ROH TV (Taped): ROH Tag Team champion reDRagon (Bobby Fish and Kyle O’Reilly) defeated Caprice Coleman and Cedric Alexander to retain the titles. July 20, 2013 – IWA Mid-South: Kyle O’Reilly defeated Necro Butcher. July 27, 2013 – ROH Wrestling: Forever Hooligans defeated ROH Tag Team champions reDRagon (Bobby Fish and Kyle O’Reilly) to win the titles. August 9, 2013 – PWG: Kyle O’Reilly defeated TJ Perkins. August 17, 2013 – ROH Manhattan Mayhem V: reDRagon (Bobby Fish and Kyle O’Reilly) defeated the American Wolves to win the titles! August 23, 2013 – AAW: AAW Heritage champion ACH defeated Kyle O’Reilly to retain the title. August 30, 2013 – PWG: Kyle O’Reilly defeated Trent in the 1st round. August 31, 2013 – PWG: Kyle O’Reilly defeated ACH in the quarter-finals. Kyle O’Reilly defeated Drake Younger in the semi-finals. Kyle O’Reilly defeated Michael Elgin to win the 2013 Battle of Los Angeles. September 6, 2013 – ROH Road to Greatness: Kyle O’Reilly defeated Cedric Alexander. September 7, 2013 – ROH Road to Greatness: Bobby Fish and Kyle O’Reilly defeated Cedric Alexander and Caprice Coleman, Corey Hollis and Mike Posey & ACH and Tadarius Thomas in a 3-way proving ground match. September 20, 2013 – ROH Death Before Dishonor: ACH, Tadarius Thomas, Cedric Alexander and Caprice Coleman defeated Bobby Fish, Kyle O’Reilly, Mike Bennett and Matt Taven. September 27, 2013 – AAW: Ethan Page and Josh Alexander defeated Kyle O’Reilly and Davey Richards. September 28, 2013 – ROH A New Dawn: ROH tag team champions Bobby Fish and Kyle O’Reilly defeated Ethan Page and Josh Alexander in a non-title match. October 5, 2013 – ROH Charm City Challenge: ROH tag team champions Bobby Fish and Kyle O’Reilly defeated Michael Elgin and Jay Lethal to retain the titles. October 19, 2013 – ROH TV (Taped): ROH tag team champions Bobby Fish and Kyle O’Reilly defeated Alex Kozlov and Rocky Romero & Caprice Coleman and Cedric Alexander in a 3-way tag team match to retain the titles. October 26, 2013 – ROH Glory by Honor: Caprice Coleman, Cedric Alexander, Jay Lethal and Michael Elgin defeated Bobby Fish, Kyle O’Reilly, Adam Cole and Matt Taven. November 2, 2013 – ROH The Golden Dream: Kyle O’Reilly defeated Corey Hollis. November 10, 2013 – HKW: Ethan Carter III defeated Kyle O’Reilly, Eric Ryan and Izeah Bonds in a 4-way match. November 16, 2013 – ROH Pursuit: ROH tag team champions Bobby Fish and Kyle O’Reilly defeated Caprice Coleman and Cedric Alexander to retain the titles. November 30, 2013 – AAW: Kyle O’Reilly defeated Louis Lyndon. December 6, 2013 – SLA: Kyle O’Reilly defeated Johnny Gargano. December 14, 2013 – ROH Final Battle: ROH tag team champions Bobby Fish and Kyle O’Reilly defeated Eddie Kingston and Homicide to retain the titles. January 10, 2014 – SLA: Kyle O’Reilly defeated Evan Gelistico. January 17, 2014 – PWX: Rich Swann defeated Kyle O’Reilly to become #1 contender at the heavyweight title. January 18, 2014 – PWX: Kyle Matthews defeated Kyle O’Reilly. January 19, 2014 – PWX: Michael Elgin defeated Kyle O’Reilly. January 24, 2014 – AAW: Louis Lyndon and Marion Fontaine defeated Kyle O’Reilly and Davey Richards. January 25, 2014 – ROH Wrestling’s Finest: Kevin Steen defeated Kyle O’Reilly. January 26, 2014 – Smash: Matt Cross defeated Kyle O’Reilly, ACH and Scotty O’Shea in a 4-way match. January 31, 2014 – PWG: Drake Younger defeated Kyle O’Reilly, Johnny Gargano and Chris Hero in a 4-way match to become #1 contender at the world title. February 1, 2014 – QPW: Kyle O’Reilly defeated Brian Kendrick. February 7, 2014 – AIW: Bobby Beverly defeated Kyle O’Reilly. February 8, 2014 – ROH State of the Art: ACH and Tadarius Thomas defeated ROH tag team champions Kyle O’Reilly and Bobby Fish in a non-title match. February 21, 2014 – ROH 12th Year Anniversary Show: ROH tag team champions Bobby Fish and Kyle O’Reilly defeated ACH and Tadarius Thomas to retain the titles. February 28, 2014 – SLA: Kyle O’Reilly defeated Christian Rose. March 1, 2014 – SLA: SLA heavyweight champion Gerald James defeated Kyle O’Reilly in a best 2 out of 3 falls match to retain the title. March 7, 2014 – ROH Raising The Bar: ACH and Tadarius Thomas defeated Eddie Kingston and Homicide & ROH tag team champions Bobby Fish and Kyle O’Reilly in a 3-way non-title match. March 7, 2014 – ROH Raising The Bar: ROH tag team champions Bobby Fish and Kyle O’Reilly defeated ACH and Tadarius Thomas to retain the titles. March 8, 2014 – ROH Raising The Bar: The Young Bucks defeated Bobby Fish and Kyle O’Reilly to win the ROH tag team titles. March 9, 2014 – IWA Mid-South: Drake Younger defeated Kyle O’Reilly, Christian Rose and B-Boy in a 4-way elimination match. March 15, 2014 – ECCW: Kyle O’Reilly defeated Kenny Lush in the 1st round. Billy Suede defeated Kyle O’Reilly in the semi-finals. March 21, 2014 – AAW: Kyle O’Reilly defeated Arik Cannon. March 22, 2014 – ROH Flyin’ High: Kevin Steen and RD Evans defeated Kyle O’Reilly and Bobby Fish by disqualification. March 23, 2014 – Beyond Wrestling: Dan Berry and Bill Carr defeated Bobby Fish and Kyle O’Reilly. March 28, 2014 – PWG: Kyle O’Reilly defeated Johnny Gargano. March 29, 2014 – AAW: Kyle O’Reilly vs. ACH to become #1 contender at the heavyweight title ended in a no contest. March 30, 2014 – HKW: HKW champion Angel Camacho defeated Kyle O’Reilly to retain the title. April 4, 2014 – ROH Super Card of Honor: Bobby Fish and Kyle O’Reilly defeated Hanson and Raymond Rowe & Alex Koslov and Rocky Romero in a 3-way #1 contenders tag team match for the tag team titles. April 11, 2014 – AAW: Kyle O’Reilly defeated Alex Shelley. April 13, 2014 – IWA Mid-South: Matt Cage defeated Kyle O’Reilly. May 2, 2014 – SLA: Kyle O’Reilly defeated Jonathan Gresham. May 11, 2014 – PWE: Jimmy Jacobs defeated Kyle O’Reilly. May 11, 2014 – A1: Kevin Steen defeated Kyle O’Reilly, Brent B and Mike Rollins in a 4-way match. May 10, 2014 – ROH TV (Taped): Hanson and Raymond Rowe defeated Bobby Fish and Kyle O’Reilly by count-out. May 17, 2014 – ROH TV (Taped): Bobby Fish and Kyle O’Reilly defeated Andrew Everett and Cedric Alexander. May 17, 2014 – ROH/NJPW War of the Worlds: Bobby Fish and Kyle O’Reilly defeated the Young Bucks to win the ROH tag team titles. May 23, 2014 – PWG: Kyle O’Reilly defeated Adam Cole to win the world title. May 25, 2014 – IPW:UK: Zack Sabre Jr. defeated Kyle O’Reilly. May 30, 2014 – PCW: PCW tag team champions Rampage Brown and T-Bone defeated Bobby Fish and Kyle O’Reilly to retain the titles. May 31, 2014 – PCW: Bobby Fish and Kyle O’Reilly defeated El Ligero and Martin Kirby. Kyle O’Reilly and Bobby Fish defeated Chris Mordetzky and Dave Rayne. June 7, 2014 – ROH Road to Best in the World: ROH tag team champions Bobby Fish and Kyle O’Reilly defeated The Briscoe Brothers to retain the titles. June 8, 2014 – Smash: Josh Alexander defeated Kyle O’Reilly. June 22, 2014 – ROH Best in the World: ROH tag team champions Bobby Fish and Kyle O’Reilly defeated Christopher Daniels and Frankie Kazarian to retain the titles. July 18, 2014 – ROH Summer Heat Tour: ROH tag team champions Bobby Fish and Kyle O’Reilly defeated Tommaso Ciampa and Rocky Romero to retain the titles. July 25, 2014 – SLA: Kyle O’Reilly defeated Jeremy Wyatt. July 26, 2014 – ROH TV (Taped): ROH tag team champions Bobby Fish and Kyle O’Reilly defeated Ethan Gabriel Owens and Josh Alexander to retain the titles. July 26, 2014 – PWG: PWG world champion Kyle O’Reilly defeated Chris Hero to retain the title. August 9, 2014 – ROH TV (Taped): ROH world champion Michael Elgin defeated Kyle O’Reilly to retain the title. August 10, 2014 – NJPW: IWGP junior heavyweight tag team champions Alex Shelley and KUSHIDA defeated Bobby Fish and Kyle O’Reilly to retain the titles. August 15, 2014 – ROH Field of Honor: ROH tag team champions Bobby Fish and Kyle O’Reilly defeated Christopher Daniels and Frankie Kazarian to retain the titles. August 22, 2014 – ROH Death Before Dishonor: IWGP Junior heavyweight champion AJ Styles defeated Kyle O’Reilly in a non-title match. August 23, 2014 – ROH Death Before Dishonor: The Young Bucks, Bobby Fish and Kyle O’Reilly defeated The Briscoe Brothers, Christopher Daniels and Frankie Kazarian in a tag team elimination match. August 29, 2014 – PWG: Kyle O’Reilly defeated Drew Gulak in the 1st round. August 31, 2014 – PWG: Kyle O’Reilly defeated Zack Sabre Jr. in the 2nd round. September 6, 2014 – ROH All Star Extravaganza: ROH tag team champions Bobby Fish and Kyle O’Reilly defeated The Young Bucks in a best 2 out of 3 falls match to retain the titles. September 13, 2014 – QPW: Kyle O’Reilly defeated Adam Thornstowe. September 28, 2014 – IHWE: Kyle O’Reilly defeated Mat Fitchett. October 3, 2014 – SLA: Jojo Bravo defeated Kyle O’Reilly. October 11, 2014 – ROH TV (Taped): Kyle O’Reilly participated in the #1 contenders battle royal for the ROH world title won by Michael Bennett. October 11, 2014 – ROH Champions vs. All Stars: Bobby Fish, Kyle O’Reilly, Jay Lethal and Jay Briscoe defeated ACH, Adam Cole, Tommaso Ciampa and Roderick Strong. October 12, 2014 – HRW: Moose and Uhaa Nation defeated Bobby Fish and Kyle O’Reilly by disqualification. October 17, 2014 – PWG: PWG world champion Kyle O’Reilly defeated Roderick Strong to retain the title. October 18, 2014 – ECCW: Kyle O’Reilly defeated El Phantasmo. October 25, 2014 – NJPW: Bobby Fish and Kyle O’Reilly defeated Mascara Dorada and BUSHI in the 1st round. October 26, 2014 – NJPW: Bobby Fish and Kyle O’Reilly defeated Alex Koslov and Gedo. October 28, 2014 – NJPW: Bobby Fish and Kyle O’Reilly defeated Rocky Romero and Gedo. October 29, 2014 – NJPW: BULLET CLUB (Matt Jackson, Nick Jackson, Tama Tonga and Yujiro Takahashi) defeated reDRagon (Bobby Fish & Kyle O’Reilly), Fuego and Mascara Dorada. October 30, 2014 – NJPW: Bobby Fish and Kyle O’Reilly defeated Sho Tanaka and Yohei Komatsu. November 1, 2014 – NJPW: Bobby Fish and Kyle O’Reilly defeated Ryusuke Taguchi and BUSHI. November 2, 2014 – NJPW: Bobby Fish and Kyle O’Reilly defeated Alex Koslov and Rocky Romero in the semi-finals of the Super Junior tag team tournament. November 3, 2014 – NJPW: Bobby Fish and Kyle O’Reilly defeated The Young Bucks to win the Super Junior tag team tournament. November 4, 2014 – NJPW: Bobby Fish and Kyle O’Reilly defeated Sho Tanaka and Yohei Komatsu. November 6, 2014 – NJPW: Bobby Fish and Kyle O’Reilly defeated Mascara Dorada and Fuego. November 8, 2014 – NJPW: Bobby Fish and Kyle O’Reilly defeated Alex Shelley and KUSHIDA to win the IWGP junior heavyweight tag team titles. November 15, 2014 – ROH Glory by Honor: ROH world tag team champions Bobby Fish and Kyle O’Reilly defeated Matt Taven and Michael Bennett to retain the titles. November 28, 2014 – PCW/ROH Super Show #1: ROH world tag team champions Bobby Fish and Kyle O’Reilly defeated The Briscoe Brothers, T-Bone and Rampage Brown & BJ Whitmer and Roderick Strong in a 4-way tag team match to retain the titles. November 29, 2014 – PCW/ROH Super Show #2: ROH world tag team champions Bobby Fish and Kyle O’Reilly defeated The Briscoe Brothers to retain the title. November 29, 2014 – ROH/PCW Super Show #3: PCW cruiserweight champion Bubblegum defeated Kyle O’Reilly and Adam Cole in a 3-way to retain the title. November 30, 2014 – PCW/ROH Super Show #4: Bobby Fish and Kyle O’Reilly defeated T-Bone and Rampage Brown in a no disqualification tag team match. December 5, 2014 – SLA: ACH defeated Kyle O’Reilly. December 7, 2014 – ROH Final Battle: ROH world tag team champions Bobby Fish and Kyle O’Reilly defeated Alex Shelley and KUSHIDA to retain the titles. December 12, 2014 – PWG: PWG world champion Kyle O’Reilly defeated Ricochet to retain the title. Roderick Strong defeated Kyle O’Reilly to win the World title. December 14, 2014 – Smash: Rich Swann defeated Kyle O’Reilly and JT Dunn in a 3-way match. December 27, 2014 – ROH TV (Taped): ROH world tag team champions Bobby Fish and Kyle O’Reilly defeated Christopher Daniels and Frankie Kazarian, ACH and Matt Sydal and The Briscoe Brothers in a 4-way tag team elimination match to retain the titles. December 28, 2014 – HRW: Bobby Fish and Kyle O’Reilly defeated Fire Ant and Green Ant. January 4, 2015 – NJPW: IWGP junior heavyweight tag team champions Bobby Fish and Kyle O’Reilly defeated Alex Koslov and Rocky Romero, The Young Bucks & Alex Shelley and KUSHIDA in a 4-way tag match to retain the titles. January 5, 2015 – NJPW: Bobby Fish and Kyle O’Reilly defeated Alex Koslov and Rocky Romero. January 30, 2015 – NJPW: Kyle O’Reilly defeated Yohei Komatsu. February 1, 2015 – NJPW: Bobby Fish and Kyle O’Reilly defeated Sho Tanaka and Yohei Komatsu. February 2, 2015 – NJPW: Bobby Fish and Kyle O’Reilly defeated Sho Tanaka and KUSHIDA. February 4, 2015 – NJPW: Bobby Fish and Kyle O’Reilly defeated Sho Tanaka and Yohei Komatsu. February 6, 2015 – NJPW: Bobby Fish and Kyle O’Reilly defeated Sho Tanaka and Jushin Thunder Liger. February 7, 2015 – NJPW: Bobby Fish and Kyle O’Reilly defeated Sho Tanaka and Yohei Komatsu. February 8, 2015 – NJPW: Bobby Fish and Kyle O’Reilly defeated Tiger Mask and Yohei Komatsu. February 11, 2015 – NJPW: The Young Bucks defeated Bobby Fish and Kyle O’Reilly & Alex Shelley and KUSHIDA in a 3-way tag match to win the IWGP junior heavyweight tag team titles. February 14, 2015 – NJPW: Bobby Fish and Kyle O’Reilly defeated Jay White and Tiger Mask. February 21, 2015 – ROH Winter Warriors Tour: Roderick Strong defeated Kyle O’Reilly. March 1, 2015 – ROH 13th Year Anniversary Show: ROH world tag team champions Bobby Fish and Kyle O’Reilly defeated The Young Bucks to retain. March 7, 2015 – ROH TV (Taped): ROH tag team champions Bobby Fish and Kyle O’Reilly defeated Adam Page and BJ Whitmer to retain the titles. March 13, 2015 – ROH Conquest Tour: ROH tag team champions Bobby Fish and Kyle O’Reilly defeated ROH world champion Jay Briscoe and ROH TV champion Jay Lethal in a champions challenge non-title match. March 14, 2015 – ROH Conquest Tour: Beretta and Rocky Romero defeated Bobby Fish and Kyle O’Reilly in a non-title instant proving ground match. ROH tag team champions Bobby Fish and Kyle O’Reilly defeated Beretta and Rocky Romero to retain the titles. March 27, 2015 – ROH Super Card of Honor: ROH tag team champions Bobby Fish and Kyle O’Reilly defeated Matt Taven and Michael Bennett to retain the titles. March 28, 2015 – ROH TV: Samoa Joe defeated Kyle O’Reilly. April 25, 2015 – ROH TV (Taped): Christopher Daniels and Frankie Kazarian defeated Bobby Fish and Kyle O’Reilly to win the tag team titles. April 25, 2015 – ROH Conquest Tour: ROH champion Jay Briscoe vs. Kyle O’Reilly ended in a no contest to retain the title. ROH TV champion Jay Lethal w Truth Martini vs. Kyle O’Reilly ended in a time limit draw to retain the title. May 3, 2015 – NJPW: The Young Bucks defeated Beretta and Rocky Romero & Bobby Fish and Kyle O’Reilly in a 3-way to win the IWGP junior heavyweight tag team titles. May 9, 2015 – ROH TV (Taped): Chris Sabin defeated Kyle O’Reilly. May 12, 2 015 – ROH/NJPW War of the Worlds 1: Bobby Fish and Kyle O’Reilly defeated Jushin Liger and Hiroshi Tanahashi. May 13, 2015 – ROH/NJPW War of the Worlds 2: Tetsuya Naito defeated Kyle O’Reilly. May 15, 2015 – ROH/NJPW Global Wars 1: KUSHIDA defeated Chris Sabin and Kyle O’Reilly in a 3-way match. May 16, 2015 – ROH/NJPW Global Wars 2: Kyle O’Reilly defeated ROH tag team champions Christopher Daniels and Frankie Kazarian by disqualification in a handicap match. May 22, 2015 – NJPW: Kyle O’Reilly defeated Beretta. May 23, 2015 – NJPW: Bobby Fish and Kyle O’Reilly defeated Jay White and Mascara Dorada. May 25, 2015 – NJPW: Kyle O’Reilly defeated Jushin Liger. May 26, 2015 – NJPW: Bobby Fish and Kyle O’Reilly defeated Jay White and Yohei Komatsu. May 27, 2015 – NJPW: Kyle O’Reilly defeated Yohei Komatsu. May 29, 2015 – NJPW: Bobby Fish and Kyle O’Reilly defeated Jushin Liger and Sho Tanaka. May 30, 2015 – NJPW: Ryusuke Taguchi defeated Kyle O’Reilly. May 31, 2015 – NJPW: Bobby Fish and Kyle O’Reilly defeated Rocky Romero and El Barbaro Cavernario. June 2, 2015 – NJPW: Kyle O’Reilly defeated El Barbario Cavernario. June 3, 2015 – NJPW: Bobby Fish and Kyle O’Reilly defeated Chase Owens and El Barbaro Cavernario. June 4, 2015 – NJPW: Kyle O’Reilly defeated Chase Owens. June 5, 2015 – NJPW: Kyle O’Reilly defeated Gedo. June 7, 2015 – NJPW: KUSHIDA defeated Kyle O’Reilly to win the Best of the Super Juniors 2015. June 19, 2015 – ROH Best in the World: ROH tag team champions Christopher Daniels and Frankie Kazarian defeated Bobby Fish and Kyle O’Reilly to retain. July 3, 2015 – NJPW: Bobby Fish and Kyle O’Reilly defeated Sho Tanaka and Yohei Komatsu. July 4, 2015 – ROH TV (Taped): Michael Elgin, Bobby Fish and Kyle O’Reilly defeated The Kingdom (Matt Taven, Michael Bennett and Adam Cole). July 5, 2015 – NJPW: IWGP junior heavyweight tag team champions The Young Bucks defeated Bobby Fish and Kyle O’Reilly & Beretta and Rocky Romero in a 3-way tag team match to retain the titles. July 24, 2015 – ROH Death Before Dishonor: Christopher Daniels and Frankie Kazarian defeated Bobby Fish and Kyle O’Reilly, Beretta and Rocky Romero & Hanson and Ray Rowe in a 4-way tag team match to retain the tag titles. August 1, 2015 – ROH TV (Taped): Adam Cole vs. Kyle O’Reilly ended in a no contest. Adam Cole and Kyle O’Reilly defeated Christopher Daniels and Frankie Kazarian. August 7, 2015 – PCW: Bobby Fish and Kyle O’Reilly defeated Joey Hayes and Martin Kirby. August 8, 2015 – ROH TV (Taped): Matt Taven and Michael Bennett defeated Bobby Fish and Kyle O’Reilly. August 8, 2015 – SWE: SWE tag team champions James Davis and Rob Lynch defeated Bobby Fish and Kyle O’Reilly & Jim and Lee Hunter in a 3-way to retain the tag titles. Kyle O’Reilly defeated Robbie X.
August 9, 2015 – IPW:UK: Kyle O’Reilly defeated Tom Dawkins in a dark match. IPW:UK British tag team champions Cieran Donnelly and Danny Duggan defeated Bobby Fish and Kyle O’Reilly to retain the titles. August 14, 2015 – NJPW: Bobby Fish, Kyle O’Reilly and Michael Elgin defeated The Young Bucks and Cody Hall. August 15, 2015 – NJPW: Bobby Fish and Kyle O’Reilly defeated Sho Tanaka and Yohei Komatsu. August 16, 2015 – NJPW: Bobby Fish and Kyle O’Reilly defeated The Young Bucks to win the IWGP junior heavyweight tag team titles. August 22, 2015 – ROH Field of Honor: Jay Lethal and Shinsuke Nakamura defeated reDRagon (Bobby Fish and Kyle O’Reilly). September 11, 2015 – ROH Reloaded Tour: Kyle O’Reilly defeated Silas Young. The Young Bucks (Matt Jackson and Nick Jackson) defeated reDRagon (Bobby Fish and Kyle O’Reilly). September 12, 2015 – ROH TV (Taped): reDRagon (Bobby Fish and Kyle O’Reilly) defeated The House Of Truth (Donovan Dijak and J. Diesel). September 18, 2015 – ROH All Star Extravaganza: ROH world champion Jay Lethal defeated Kyle O’Reilly to retain the title. September 23, 2015 – NJPW: reDRagon (Bobby Fish and Kyle O’Reilly) defeated Jushin Thunder Liger and Mascara Dorada. September 24, 2015 – NJPW: reDRagon (Bobby Fish and Kyle O’Reilly) defeated Alex Shelley and Jay White. September 27, 2015 – NJPW: IWGP junior heavyweight tag team champions reDRagon (Bobby Fish and Kyle O’Reilly) defeated Time Splitters (Alex Shelley and KUSHIDA) to retain the titles. October 2, 2015 – RPW: Kyle O’Reilly defeated KUSHIDA. October 3, 2015 – wXw: reDRagon (Bobby Fish and Kyle O’Reilly) defeated ACH and Tommaso Ciampa in the 1st round. reDRagon (Bobby Fish and Kyle O’Reilly) defeated Hot And Spicy (Axel Dieter Jr. and Da Mack) in the semi-finals. Big Daddy Walter and Zack Sabre Jr. defeated reDRagon (Bobby Fish and Kyle O’Reilly) to win the tournament and vacant world tag team titles. October 12, 2015 – NJPW: IWGP junior heavyweight tag team champions reDRagon (Bobby Fish and Kyle O’Reilly) defeated Roppongi Vice (Beretta and Rocky Romero) to retain the titles. October 23, 2015 – NJPW: reDRagon (Bobby Fish and Kyle O’Reilly) defeated Jay White and Juice Robinson. October 24, 2015 – NJPW: reDRagon (Bobby Fish and Kyle O’Reilly) defeated Jushin Thunder Liger and Tiger Mask in the 1st round. October 25, 2015 – NJPW: reDRagon (Bobby Fish and Kyle O’Reilly) defeated Sho Tanaka and Yohei Komatsu. October 27, 2015 – NJPW: reDRagon (Bobby Fish and Kyle O’Reilly) defeated David Finlay and Jushin Thunder Liger. October 28, 2015 – NJPW: reDRagon (Bobby Fish and Kyle O’Reilly) defeated Jay White and Tiger Mask. October 30, 2015 – NJPW: reDRagon (Bobby Fish and Kyle O’Reilly) defeated David Finlay and Mascara Dorada. October 31, 2015 – NJPW: reDRagon (Bobby Fish and Kyle O’Reilly) defeated Jay White and Tiger Mask. November 1, 2015 – NJPW: Roppongi Vice (Beretta and Rocky Romero) defeated reDRagon (Bobby Fish and Kyle O’Reilly) in the semi-finals. November 3, 2015 – NJPW: reDRagon (Bobby Fish and Kyle O’Reilly) defeated Jay White and Jushin Thunder Liger. November 4, 2015 – NJPW: reDRagon (Bobby Fish and Kyle O’Reilly) defeated Sho Tanaka and Yohei Komatsu. November 5, 2015 – NJPW: reDRagon (Bobby Fish and Kyle O’Reilly) defeated Jay White and Sho Tanaka. November 7, 2015 – NJPW: reDRagon (Bobby Fish & Kyle O’Reilly) & Time Splitters (Alex Shelley & KUSHIDA) defeated BULLET CLUB (Kenny Omega, Matt Jackson & Nick Jackson) & Chase Owens. November 13, 2015 – ROH Survival of the Fittest: ROH world tag team champions The Kingdom (Matt Taven and Michael Bennett) defeated reDRagon (Bobby Fish and Kyle O’Reilly) to retain the titles. November 14, 2015 – ROH Survival of the Fittest: reDRagon (Bobby Fish and Kyle O’Reilly) defeated The House Of Truth (Donovan Dijak and Jay Lethal). November 27, 2015 – ROH/PCW Super Show #1: PCW tag team champions Team Single (Rampage Brown and T-Bone) defeated reDRagon (Bobby Fish and Kyle O’Reilly) to retain the titles. November 28, 2015 – ROH/PCW Super Show #2: Team Single (Rampage Brown & T-Bone) defeated Joey Hayes & Martin Kirby and reDRagon (Bobby Fish & Kyle O’Reilly) and War Machine (Hanson & Ray Rowe) in a 4-way tag team match to retain the titles. November 29, 2015 – ROH/PCW Super Show #4: Bubblegum, Iestyn Rees and T-Bone defeated Delirious & reDRagon (Bobby Fish and Kyle O’Reilly). December 5, 2015 – ROH Road to Final Battle: reDRagon (Bobby Fish and Kyle O’Reilly) defeated ACH and Alex Shelley. Kyle O’Reilly defeated Tim Hughes. January 5, 2016 – NJPW: Hirooki Goto, Katsuyori Shibata & reDRagon (Bobby Fish & Kyle O’Reilly) defeated CHAOS (Beretta, Kazuchika Okada, Rocky Romero & Tomohiro Ishii). January 15, 2016 – ROH Winter Warriors Tour: reDRagon (Bobby Fish & Kyle O’Reilly) defeated Chris Sabin & Frankie Kazarian. January 16, 2016 – ROH TV (Taped): The Young Bucks defeated reDRagon (Bobby Fish & Kyle O’Reilly) and The Kingdom (Adam Cole & Michael Bennett) (w/Maria Kanellis & Matt Taven) in a 3-way tag team match. January 16, 2016 – ROH Winter Warriors Tour: reDRagon (Bobby Fish & Kyle O’Reilly) defeated The All-Night Express (Kenny King & Rhett Titus). January 23, 2016 – ROH Winter Warriors Tour: ACH, Alex Shelley & Matt Sydal defeated Michael Elgin & reDRagon (Bobby Fish & Kyle O’Reilly). January 30, 2016 – ROH TV (Taped): reDRagon (Bobby Fish & Kyle O’Reilly) defeated Adam Cole & Jay Lethal. February 11, 2016 – NJPW: Matt Sydal & Ricochet defeated reDRagon (Bobby Fish & Kyle O’Reilly) and The Young Bucks (Matt Jackson & Nick Jackson) in a 3-way tag team match to win the IWGP Junior heavyweight tag team titles. February 14, 2016 – NJPW: reDRagon (Bobby Fish & Kyle O’Reilly) defeated CHAOS (Gedo & Kazushi Sakuraba). February 19, 2016 – ROH/NJPW Honor Rising: BULLET CLUB (Kenny Omega & The Young Bucks (Matt Jackson & Nick Jackson)) defeated Katsuyori Shibata & reDRagon (Bobby Fish & Kyle O’Reilly). February 20, 2016 – ROH/NJPW Honor Rising: Hirooki Goto, Katsuyori Shibata & reDRagon (Bobby Fish & Kyle O’Reilly) defeated BULLET CLUB (Bad Luck Fale, Doc Gallows, Karl Anderson & Tama Tonga). March 5, 2016 – PWG: PWG world tag team champions The Young Bucks defeated reDRagon (Bobby Fish & Kyle O’Reilly) to retain the titles. March 12, 2016 – ROH Conquest Tour: Adam Cole & Roderick Strong defeated reDRagon (Bobby Fish & Kyle O’Reilly). March 12, 2016 – ROH TV (Taped): reDRagon (Bobby Fish & Kyle O’Reilly) were in the #1 contenders tag team gauntlet match for the tag titles won by Beretta and Rocky Romero. April 1, 2016 – ROH Super Card of Honor: Kyle O’Reilly defeated Matt Sydal. April 2, 2016 – ROH Super Card of Honor: Kyle O’Reilly defeated Adam Cole in a no holds barred match. April 2, 2016 – ROH TV (Taped): reDRagon (Bobby Fish and Kyle O’Reilly) defeated CHAOS (Gedo and Kazuchika Okada). April 30, 2016 – ROH Conquest Tour: The Briscoe Brothers defeated Alex Shelley and Chris Sabin & Bobby Fish and Kyle O’Reilly in a 3-way tag match. May 8, 2016 – ROH/NJPW Global Wars: Tetsuya Naito defeated Kyle O’Reilly. May 9, 2016 – ROH/NJPW War of the World: reDRagon (Bobby Fish and Kyle O’Reilly) defeated Jay Lethal and Tetsuya Naito. May 14, 2016 – ROH/NJPW War of the World: reDRagon (Bobby Fish and Kyle O’Reilly) defeated The All-Night Express (Kenny King and Rhett Titus). May 21, 2016 – NJPW: Kyle O’Reilly defeated KUSHIDA. May 23, 2016 – NJPW: Kyle O’Reilly defeated Gedo. May 25, 2016 – NJPW: Kyle O’Reilly defeated BUSHI. May 27, 2016 – NJPW: Matt Sydal defeated Kyle O’Reilly. May 29, 2016 – NJPW: Matt Sydal defeated Kyle O’Reilly. May 31, 2016 – NJPW: Ryusuke Taguchi defeated Kyle O’Reilly. June 3, 2016 – NJPW: Kyle O’Reilly defeated David Finlay. June 6, 2016 – NJPW: Rocky Romero defeated Kyle O’Reilly. June 7, 2016 – NJPW: reDRagon (Bobby Fish & Kyle O’Reilly) & Hiroyoshi Tenzan defeated CHAOS (Beretta, Rocky Romero & Tomohiro Ishii). June 11, 2016 – ROH TV (Taped): Kyle O’Reilly defeated KUSHIDA. June 11, 2016 – ROH Road to Best in the World: Jay and Mark Briscoe defeated Jay Lethal and Roderick Strong & Bobby Fish and Kyle O’Reilly in a 3-way tag team match. June 12, 2016 – ROH Road to Best in the World: Kyle O’Reilly defeated ACH, Michael Elgin and Roderick Strong in a 4-way match. June 19, 2016 – NJPW: The Young Bucks defeated Matt Sydal and Ricochet, Bobby Fish and Kyle O’Reilly & Beretta and Rocky Romero in a 4-way tag team elimination match to win the IWGP junior heavyweight tag team titles. June 24, 2016 – ROH Best in the World: Kyle O’Reilly defeated Kamaitachi. July 23, 2016 – ROH TV (Taped): Jay Lethal defeated Kyle O’Reilly to retain the ROH world title. July 29, 2016 – PWG: Zack Sabre Jr. defeated Kyle O’Reilly to retain the PWG world title. August 27, 2016 – ROH Field of Honor: Kyle O’Reilly defeated Katsuyori Shibata. September 3, 2016 – PWG: Kyle O’Reilly defeated Matthew Riddle in the 1st round. September 4, 2016 – PWG: Mark Haskins defeated Kyle O’Reilly in the quarter-finals. September 12, 2016 – NJPW: reDRagon (Bobby Fish and Kyle O’Reilly) defeated Katsuyori Shibata and Tiger Mask. September 14, 2016 – NJPW: Jushin Thunder Liger, Tiger Mask and Yuji Nagata defeated reDRagon (Bobby Fish & Kyle O’Reilly) and David Finlay. September 15, 2016 – NJPW: Juice Robinson, Tiger Mask and Yuji Nagata defeated reDRagon (Bobby Fish & Kyle O’Reilly) and David Finlay. September 19, 2016 – NJPW: Satoshi Kojima, Tiger Mask and Yuji Nagata defeated reDRagon (Bobby Fish & Kyle O’Reilly) and David Finlay. September 20-21, 2016 – NJPW: Ryusuke Taguchi, Tiger Mask and Yuji Nagata defeated reDRagon (Bobby Fish & Kyle O’Reilly) and David Finlay. September 22, 2016 – NJPW: reDRagon (Bobby Fish & Kyle O’Reilly), David Finlay and Ryusuke Taguchi defeated Manabu Nakanishi, Tiger Mask, Tomoaki Honma and Yuji Nagata. September 23, 2016 – NJPW: reDRagon (Bobby Fish & Kyle O’Reilly) & Great Bash Heel (Togi Makabe and Tomoaki Honma) defeated Hiroyoshi Tenzan, Juice Robinson, Manabu Nakanishi and Yuji Nagata. September 25, 2016 – NJPW: reDRagon (Bobby Fish and Kyle O’Reilly) defeated Manabu Nakanishi and Yuji Nagata. September 30, 2016 – ROH All Star Extravaganza: Kyle O’Reilly defeated Hangman Page. October 8, 2016 – NJPW: reDRagon (Bobby Fish and Kyle O’Reilly) defeated Tiger Mask and Yuji Nagata. October 10, 2016 – NJPW: Katsuyori Shibata defeated Kyle O’Reilly to retain the NEVER Openweight title. October 21, 2016 – ROH Road to Best in the World: Kyle O’Reilly defeated Donovan Dijak, Jay White and Kamaitachi in a 4-way match. October 22, 2016 – ROH Road to Best in the World: Kyle O’Reilly defeated Donovan Dijak. October 22, 2016 – ROH TV (Taped): Kyle O’Reilly defeated Jonathan Gresham. November 3, 2016 – ROH Survival of the Fittest: Kyle O’Reilly defeated Christopher Daniels. November 4, 2016 – ROH Survival of the Fittest: Kyle O’Reilly defeated Frankie Kazarian. November 18, 2016 – ROH Reach For The Sky: Kyle O’Reilly & The Briscoes (Jay Briscoe and Mark Briscoe) defeated BULLET CLUB (Adam Cole, Matt Jackson and Nick Jackson). November 19, 2016 – ROH TV (Taped): Kyle O’Reilly defeated Silas Young. November 19, 2016 – ROH Reach For The Sky: reDRagon (Bobby Fish and Kyle O’Reilly) defeated The Briscoes (Jay Briscoe and Mark Briscoe). November 20, 2016 – ROH Reach For The Sky: Kyle O’Reilly defeated Travis Banks. December 2, 2016 – ROH Final Battle 2016: Kyle O’Reilly defeated ROH world heavyweight champion Adam Cole in a No Disqualification match to win the title. January 4, 2017 – NJPW: Adam Cole defeated Kyle O’Reilly to win the ROH world title. January 14, 2017 – ECCW: Kyle O’Reilly defeated El Phantasmo to win the ECCW title. March 11, 2017 – PWR: Kyle O’Reilly defeated Mat Fitchett. March 17, 2017 – AAW: Zack Sabre Jr. defeated Kyle O’Reilly. March 25, 2017 – CCW: Kyle O’Reilly defeated Barackus. March 26, 2017 – NWA STL: Kyle O’Reilly defeated Davey Gibson. April 1, 2017 – NWA STL: Jeremy Wyatt defeated Kyle O’Reilly. April 21, 2017 – PWG: Michael Elgin defeated Kyle O’Reilly. April 22, 2017 – EVOLVE 82: Kyle O’Reilly defeated Keith Lee. April 23, 2017 – EVOLVE 83: Kyle O’Reilly defeated Fred Yehi. April 29, 2017 – Beyond Looking California: John Skyler defeated Kyle O’Reilly. April 30, 2017 – PWX: reDRagon (Bobby Fish and Kyle O’Reilly) defeated Anthony Henry and Ethan Case. May 6, 2017 – OTT: Matt Riddle defeated Kyle O’Reilly. May 12, 2017 – Division Pro: Tom Lawlor defeated Kyle O’Reilly. May 14, 2017 – WCPW: Kyle O’Reilly defeated Tyson Dux in the 1st round. Mike Bailey defeated Kyle O’Reilly to win the Pro Wrestling World Cup Canadian Qualifying. May 14, 2017 – Smash: Kyle O’Reilly defeated TARIK. May 19, 2017 – PWG: The Chosen Bros (Jeff Cobb and Matthew Riddle) defeated reDRagon (Bobby Fish and Kyle O’Reilly). May 20, 2017 – EVOLVE 84: Matt Riddle defeated Kyle O’Reilly to retain the WWNLive title. May 21, 2017 – EVOLVE 85: Tracy Williams defeated Kyle O’Reilly. June 4, 2017 – NWA STL: Davey Gibson defeated Kyle O’Reilly. June 9, 2017 – ASW: Kenny Lush defeated Kyle O’Reilly. June 24, 2017 – WC: Penta el 0M and Rey Fenix defeated reDRagon (Bobby Fish and Kyle O’Reilly). June 29, 2017 – DEFY4: Cody Rhodes defeated Kyle O’Reilly. June 30, 2017 – DEFY5: reDRagon (Bobby Fish and Kyle O’Reilly) defeated Darby Allin and Matt Cross. July 8, 2017 – RevPro: KUSHIDA defeated Kyle O’Reilly in the 1st round of the British J Cup. August 2, 2017 – NXT: Aleister Black defeated Kyle O’Reilly. August 20, 2017 – NXT TakeOver – Brooklyn III: Fish, alongside O’Reilly attacked SAnitY after they defeated The Authors of Pain to win the NXT Tag Team Championships. Later on in the night, the two assisted the debuting Adam Cole in attacking newly-crowned NXT Champion Drew McIntyre, turning Fish heel in the process. September 20, 2017 – NXT: Bobby Fish and Kyle O’Reilly w Adam Cole defeated Trent Seven and Tyler Bate. September 21, 2017 – NXT Live Event: Adam Cole, Bobby Fish and Kyle O’Reilly vs. SAnitY (Alexander Wolfe, Eric Young and Killian Dain) ended in a no contest. October 26-28, 2017 – NXT Live Event: SAnitY (Alexander Wolfe and Eric Young) defeated The Undisputed ERA (Bobby Fish and Kyle O’Reilly) by count-out to retain the tag team titles. December 1-2, 2017 – NXT Live Event: The Undisputed ERA (Bobby Fish and Kyle O’Reilly) defeated SAnitY (Eric Young and Killian Dain) to retain the tag titles. December 7, 2017 – NXT Live Event: The Undisputed ERA (Bobby Fish and Kyle O’Reilly) defeated The Authors Of Pain (Akam and Rezar) to retain the tag titles. December 14, 2017 – NXT Live Event: The Undisputed ERA (Bobby Fish and Kyle O’Reilly) defeated Street Profits (Angelo Dawkins and Montez Ford) to retain the tag titles. December 15, 2017 – NXT Live Event: NXT tag team champions The Undisputed ERA (Bobby Fish and Kyle O’Reilly) defeated Street Profits (Angelo Dawkins and Montez Ford) in a non-title match. December 16, 2017 – NXT Live Event: The Undisputed ERA (Bobby Fish and Kyle O’Reilly) defeated Street Profits (Angelo Dawkins and Montez Ford) to retain the tag titles. December 20, 2017 – NXT: The Undisputed ERA (Bobby Fish and Kyle O’Reilly) defeated SAnitY (Eric Young and Killian Dain) to win the tag team titles. January 10, 2018 – NXT: The Undisputed ERA (Bobby Fish and Kyle O’Reilly) defeated Aleister Black and Roderick Strong to retain the tag titles. January 12-13, 2018 – NXT Live Event: The Undisputed ERA (Bobby Fish and Kyle O’Reilly) defeated Street Profits (Angelo Dawkins and Montez Ford) to retain the tag titles. January 18, 2018 – NXT Live Event: NXT tag team champions The Undisputed ERA (Bobby Fish and Kyle O’Reilly) defeated Heavy Machinery (Otis Dozovic and Tucker Knight) in a non-title match. 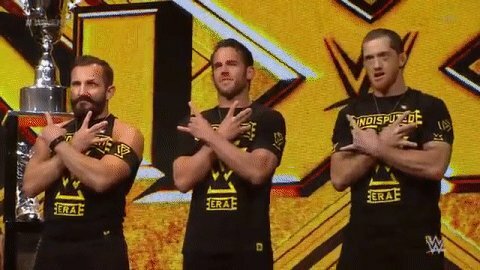 July 11, 2018 – NXT: The Undisputed ERA (Kyle O’Reilly and Roderick Strong) defeated Moustache Mountain (Trent Seven and Tyler Bate) to win the tag team titles. July 13, 2018 – NXT Live Event: The Undisputed ERA (Kyle O’Reilly and Roderick Strong) defeated The Mighty (Nick Miller and Shane Thorne) to retain the tag team titles. August 2, 2018 – NXT Live Event: Street Profits (Angelo Dawkins and Montez Ford) defeated The Undisputed ERA (Kyle O’Reilly and Roderick Strong) by disqualification. The Undisputed ERA retains the tag team titles. August 4, 2018 – NXT Live Event: The Undisputed ERA (Kyle O’Reilly and Roderick Strong) defeated Street Profits (Angelo Dawkins and Montez Ford) in a no disqualification match to retain the tag team titles. November 14, 2018 – NXT: Kyle O’Reilly defeated Hanson to earn the advantage in the WarGames. 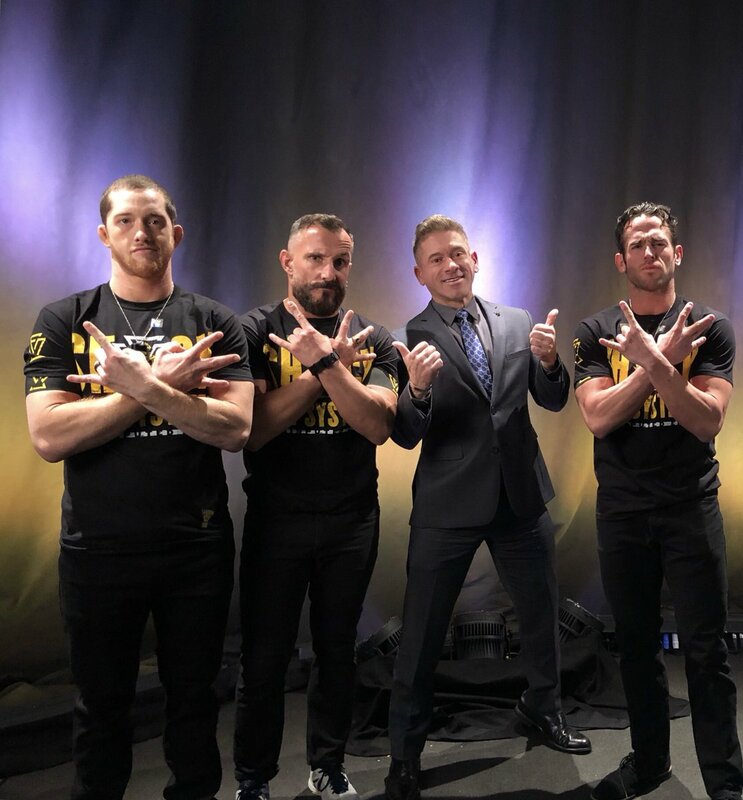 January 5, 2019 – NXT Live Event: EC3, Keith Lee and Matt Riddle defeated The Undisputed ERA (Bobby Fish, Kyle O’Reilly and Roderick Strong). January 23, 2019 – NXT Live Event: Aleister Black, Heavy Machinery (Otis Dozovic & Tucker Knight) and Ricochet defeated The Undisputed ERA (Adam Cole, Bobby Fish, Kyle O’Reilly and Roderick Strong) in a dark match. February 7, 2019 – NXT Live Event: The Undisputed ERA (Bobby Fish and Kyle O’Reilly) defeated Jeet Rama and Rinku Singh. February 8, 2019 – NXT Live Event: The Undisputed ERA (Bobby Fish and Kyle O’Reilly) defeated Street Profits (Angelo Dawkins and Montez Ford). February 28, 2019 – NXT Live Event: War Raiders (Hanson and Rowe) defeated The Undisputed ERA (Bobby Fish and Kyle O’Reilly) to retain the tag team titles. March 2-3, 2019 – NXT Live Event: War Raiders (Hanson and Rowe) defeated The Undisputed ERA (Bobby Fish and Kyle O’Reilly) to retain the tag team titles. March 6, 2019 – NXT: #DIY (Johnny Gargano and Tommaso Ciampa) defeated The Undisputed ERA (Bobby Fish and Kyle O’Reilly) in the 1st round of the Dusty Rhodes tag team Classic. Gracias @roderickstrong @korcombat y @thebobbyfish por todo lo que hacen. Will tonight be the night that kicks off a GOLDEN year for #UndisputedERA?